Seamless perfection. 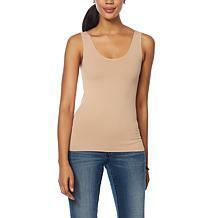 Give your fashions the foundation they deserve with this smoothing stretch knit tank. 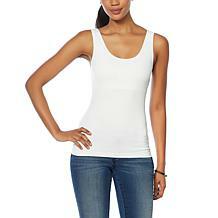 For a flattering look when wearing your close-fitted tops, it doesn't get any better than this. Good to Know Recommended to wash black tank before wearing.